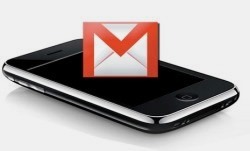 Google has finally added support for Email in their Exchange Sync platform for mobiles â€“ though it only works for the iPhone OS and Windows Mobile devices with ActiveSync. Nokia Series60 users shouldnâ€™t be concerned because they already had support for Push Email via Nokia Messaging application, which is faster than Google Sync as far as my experience goes. Anyways, to enable Push Email support, all you have to do is activate Google Sync for your device. If you already use that, then just enable Email sync from the server settings, and Mail for Exchange would start working instantly. One more thing for iPhone users, you have to be running iPhone OS 3.0 or higher. You may also want to backup your Contacts and Calendar in case something goes wrong. On a side note, Google says that Push Email would consume a lot more power and will certainly degrade battery life. So you should only use it on your own risk. Personally, I think its worth it. Check the links below for more detailed instructions on how to enable Push Email for your device. Ran 13 queries in 0.143 seconds.